Creative Roots Performing Arts is dedicated to fostering a life-long appreciation of the arts. We believe that we have a responsibility not only to educate, but to infuse our students with confidence, creativity, and physical fitness. We create a joyful, soulful place for all people to explore dance, regardless of their experience. We are proud to be legally licensed with a Certificate of Performing Rights (SOCAN) and a License for the use of Recorded Music (Re:Sound). Creative Roots takes great pride in our professional faculty. Our instructors are certified, experienced, and committed to providing a positive and high quality dance experience for each one of their students. Creative Roots delivers a premiere technical dance base for all our students, both young and young at heart! Born and raised in the Bulkley Valley, Stephanie trained in Ballet and Jazz with Susan Roberts at the age of 8 and continued dancing when Janet Harris took over Creative Roots. Stephanie continued studying Ballet at a local dance school while she attended College in Victoria. Moving to Quesnel, in the early 90’s, Stephanie took bellydancing in addition to resuming her Ballet and Jazz studies. She also taught Creative Movement at a dance studios in Quesnel. Stephanie moved back to the Valley in 2000 with her husband and family. She joined the Creative Roots dance faculty teaching Junior Jazz, where she started to learn the discipline of Tap as well. 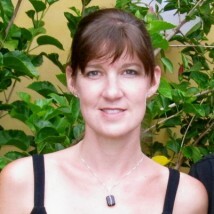 Stephanie is a Certified Yoga Instructor, Total Barre Qualified Instructor, and Barre Above Instructor. Sharon’s formal training is anchored with a B. Mus (U of S) and ARCT (voice/piano). Her musical career spanned stage, studios and concert halls across Canada and internationally. A double rainbow of vivacity, she offers you a rare vintage of positivity and provision. Sharon is dark chocolate with a nibble of chili…a soothing café au lait room with a strategic hit of animal print. Afire for symphony, score and song, Sharon has spent the richest years of her life in concert and music. And years remain resplendent in experience, gilded in melody. Empress of espresso…She believes in the goodness of self, and the badness of cheap coffee. Know her for her open-mouthed hilarity and sanguine spirit. Marvel at her moxie when she tailgated her musical notes ballroom dance. 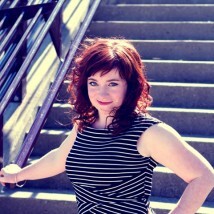 Sharon is loved and renowned as a music coach; teach festival adjudicator, director and performer. In Mat 2018, Sharon performed at Carnegie Hall, which was a highlight of her career. 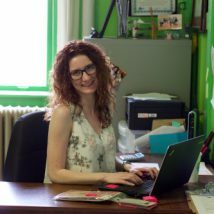 Lauren’s passion for dance and teaching stem from years of training based in Prince George. 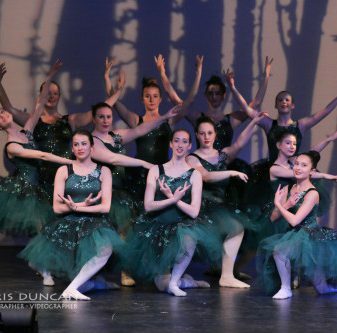 While completing her Bachelor of Commerce at the University of Northern British Columbia, Lauren became a certified Associate Ballet Instructor with the Performing Arts Educators of Canada. She has been instructed under many schools of dance in Tap, Ballet, Jazz, Lyrical, Hip-Hop, Modern, and Broadway/Song and Dance. As a Highland dancer, Lauren had the opportunity to compete in several Highland games in Scotland. In conjunction with many years of dance training, Lauren was also a member of the Prince George Theatre Workshop and performed in many musicals with Excalibur Theatre Arts, including The Wizard of OZ, The Sound of Music, CATS!, and Miss Saigon. As a recent Smithereen, Lauren is excited to connect with, and become a part of the dance community here in Smithers. She looks forward to be able to pass along her knowledge and passion for the performing arts to beginners and advanced dancers of all ages. Brooke is the smiling face you will be greeted with at the office as well as in the studio. Brooke has danced at Creative Roots since the age of 5. She began dancing Ballet, and moved to Tap, and Jazz at age 8. She also trained in Musical Theater, Modern, Lyrical and Pre-Pointe. Brooke became a Performing Company dancer at age 12 and competed across Northern B.C and is an active Choreographer for our current Performing Company. At age 13, Brooke became a Teacher’s Assistant at Creative Roots. In 2014, she began working as a Dance Instructor, teaching Tap and Lyrical. Now she instructs Jazz, Tap, Ballet, Modern, Creative Movement, Lyrical and Acro. In July 2018, Brooke graduated from her training under the ADAPT syllabus in Toronto. She is now an ADAPT Certified Dance Instructor. Lara has been teaching fitness for 27 years, following her passion of health and fitness. She is the owner of Luna’s Fitness. After many years of training and racing in the sport of flatwater olympic spring kayak racing, Lara pursed her Bachelor of Human Kinetics at UBC, and specialized in Health and Fitness. Lara’s first love is pilates. Everything comes back to the core, and Lara believes that this lays the foundation for everything else. ​Lara moved to Smithers with Clay in 2005 and has not looked back. She loves the community and amazing ski hill, and loves raising their two daughters in a town with all of the outdoor options at their fingertips. Luna’s Fitness is an ever-evolving studio of fresh ideas and sense of community that keeps fitness fun and motivating! She is happy to bring fresh and inspiring fitness options to the community of Smithers. ​Lara is certified in STOTT Pilates Matwork and Advanced Matwork Instructor certification, STOTT Pilates Reformer Instructor certification and Advanced Reformer Instructor certification, STOTT Pilates Injuries & Special Populations certification, and STOTT Total Barre Foundations and Endurance. 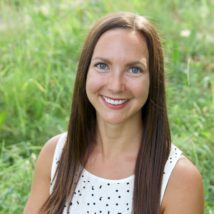 ​Lara is a CFES and BCRPA registered Yoga Fitness Instructor and Personal Trainer, Supervisor of Fitness Leaders for Group Fitness Instructors, Aquafitness Instructors and Weight Trainers. Lara is an instructor trainer for CFES Fitness Theory and Group Fitness Modules. 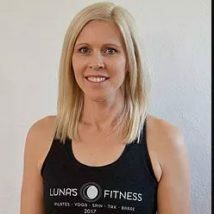 ​Lara has taken additional training in STOTT Pilates Arc Barrel, Toning Ball, Bender Ball, Ultimate Body Sculpting, Pre-Natal Pilates, TRX, Spin, and BOSU sport conditioning, Standard first aid and CPR. 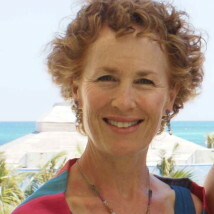 Janet Harris is the founder of Creative Roots Performing Arts. 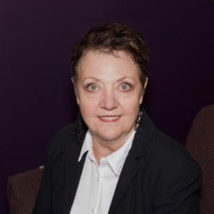 Janet is a self-directed learner and has been inspired and influenced by mentors Lydia Karpova , Brian Foley and Anne Green Gilbert with whom she has studied. She takes pride in having received the S.M.A.R.T. award given by the Bulkley Valley Community Arts Council for her contribution to dance education and Level 1 Orff Certification from the University of Alberta. Janet’s ongoing quest is to teach movement in a way that is engaging, brain-compatible and fun for students, young and old. Janet’s passion for teaching and love of dance continues to keep her as a part-time Tap Workshop Instructor for both young dancers and adults.